Dr. Yemi Akinbamijo is the Executive Director of FARA and Dr. Akinbamijo, a Nigerian national, has spent the past 28 years of his career in Africa and Europe  working in the International Agriculture, food security and Rural Development domain. Prior to his appointment as Executive Director of FARA, he was the Head of  Division of the Agriculture and Food Security Division at the African Union Commission Headquarters in Addis Ababa, Ethiopia. 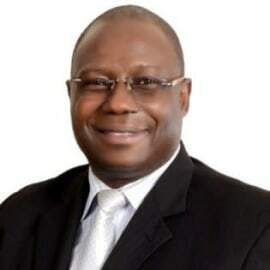 Before then, he served as the Director of the AU Inter-African Phytosanitary Council based in Yaoundé Cameroon.